I tried to choose a dog for dog safety around my kids. "I thought I was choosing a dog that would be good with my kids." I just despair every time I hear that a child has been injured by a dog. 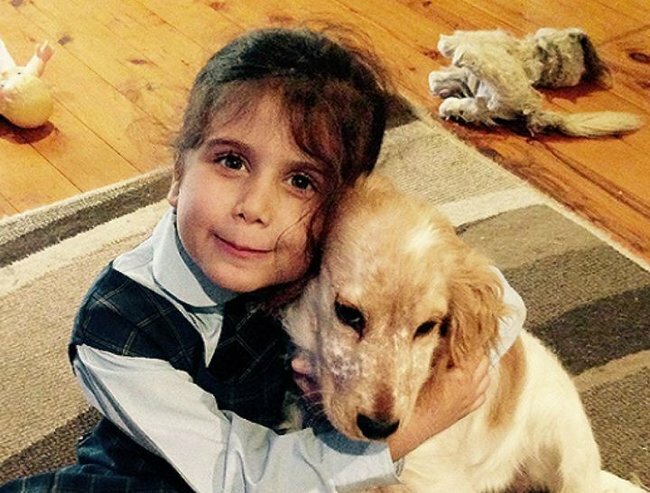 Earlier this year, an eight-year-old girl lost her right hand after being attacked by a dog in the NSW Hunter region. It was just after 3pm when police were called out to a suburb in Lake Macquarie to find the poor girl with serious injuries from her right elbow down. Apparently she and her friends had been playing in a cul-de-sac when she put her hand under the fence of a property that is home to three Alaskan Malamutes. One of the dogs bit her and despite being rushed to hospital, doctors were unable to save her hand. There were three Alaskan Malamutes. Image via iStock. The dogs were reportedly taken away by council rangers. At the time, residents said dogs were always good with kids and people were shocked and stunned by the incident. For some reason the message about kids and dogs is not getting through. We&apos;re so used to believing that a dog&apos;s behaviour can be predicted that we forget the fact that they&apos;re animals. They may be friendly under some circumstances, when they are with their owners at the park and happy, but when you enter their home, they may not be. Not many kids or even grow ups tried to pat Pepper (left) and Baxter (right) and they loved us, they just hated everyone else. I have a lot of experience with kids and dogs. Earlier in my life, we owned two Rotweillers who loved us and our first child but were so over-protective of us that it was hard to have visitors come to our home. Now that we have three children I knew our next choice of dog would need to be more considered. I did a lot of research to find a dog breed that would be good with kids. I wanted a much smaller dog with a friendly temperament, one that would love my children and the many friends and family who visited our home. I settled on a Cocker Spaniel and drove to Camden in Sydney to collect her. Her name is Sadie and we love her but she is way to excited to see anyone and jumps on them. Also my oldest child Philip seems to think it is funny to get down on all fours and pretend to be a dog. He has taught her that it&apos;s okay to play tug-of-war with him and growl and snap at him. I&apos;ve spent the past few months yelling at him, yelling at Sadie and frantically trying to figure out how to teach the kids to interact with Sadie appropriately, at the same time as trying to encourage Sadie to calm the hell down. She improved a little, enough to have my family over for lunch. I put Sadie in a room and told the kids they could go in to see her if they wanted, which they did straight away. Sadie, sensing her chance to escape, raced out of the room and excitedly ran out to the backyard where she proceeded to knock my tiny little niece over, flat on her face. Dogs need training, yes of course they do, but so do kids. In fact what I have realised is that we need to train dogs and children together. I&apos;ve contacted our local vet who has put me in touch with a dog trainer who is willing to come to my home and teach my children how to interact with Sadie, as well as encourage Sadie to stop jumping and snapping and getting over excited. Only Philip can walk Sadie now because she is too strong for Giovanni or Caterina to hold without being dragged down the street. Image supplied. My children&apos;s school has been incredibly pro-active on the dog issue because we live in a suburb were there are dogs all over the place. They put my little ones on this great website which takes them through simple activities to learn how to read dog&apos;s signals. You should definitely check it out. It&apos;s pets.nsw.gov.au. The message I want to give to everyone is that dogs are animals, their behaviour can&apos;t be predicted and that proper training is so important for both the pets and children who interact with them so we can hopefully avoid further tragedies. If dogs are going to continue to be a part of domestic life, we need to be more responsible about it. Do you have any advice when it comes to owning pets and interacting with pets, in particular dogs?